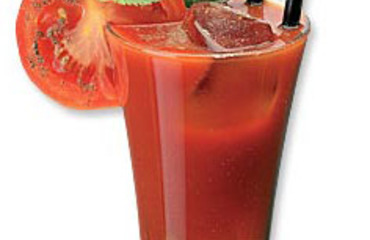 Into the shaker give tomato juice, add pepper, salt, Worcester sauce, lemon juice and sugar. Add ice and shake it well. Pour into martini glasses, we can decorate with cherry tomato. For the alcoholic version we add to the shaker 4 cl vodka.